In today’s environment, financial institutions and service providers have to face a wide range of challenges, ranging from the fierce competition on a global basis, the increasing digitalisation of business models and processes, as well as the stricter safety regulations and the global terrorist financing threat, but also the attempt to stay engaged with the customer. A proper and quick redirection of the relevant information is a key element to cope with such requirements. Through MobiCall internal and external first aid stations are alerted and evacuations are immediately initiated. Crisis teams and conferences can be called up at the touch of a button. A further advantage is that through a unique info hotline, guests, media and the public are provided with the latest information. 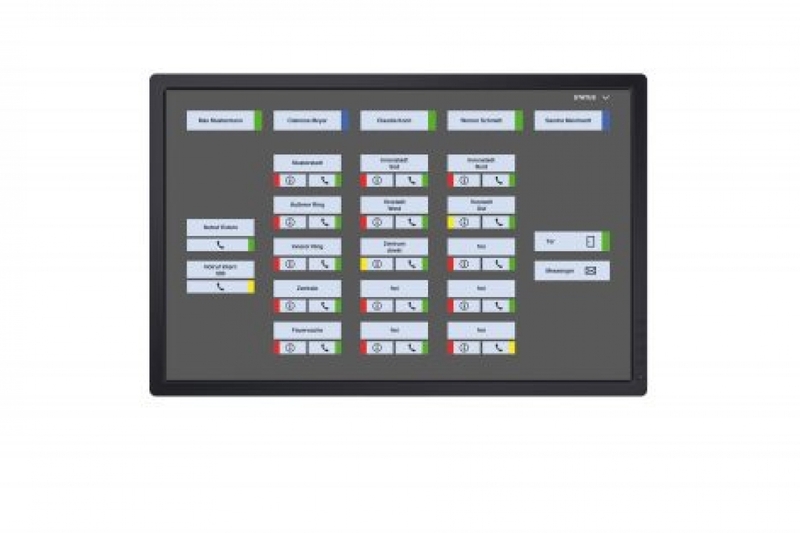 Standardised and producer-specific interfaces allow a full integration of the existing systems, devices, sensors and staff members in charge. The connection of external databases is also possible, thus allowing the use of existing master data for the automatic import, which consequently reduces the administrative load. 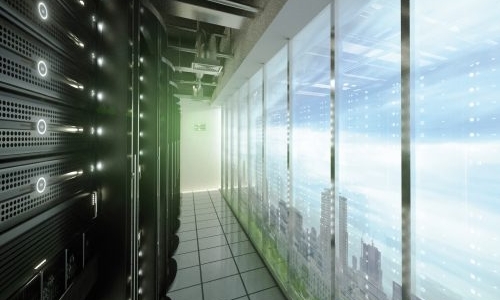 As a result, buildings are safeguarded and the technical infrastructure is prevented from damages. 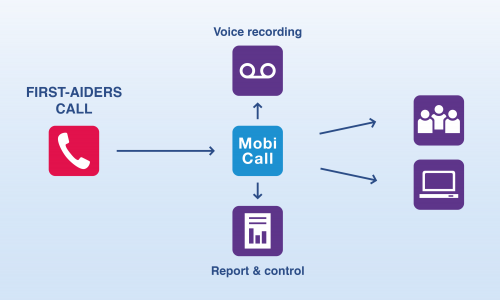 MobiCall provides a better protection for employees, as well as a quick reactivity to technical and operational emergency situations; thus allowing to enhance the overall safety, to guarantee business processes continuity and to avoid any kind of faults or system breakdowns. The multi-client capability offers to each area the opportunity to autonomously manage its own alarm management by means of differentiated access rights. 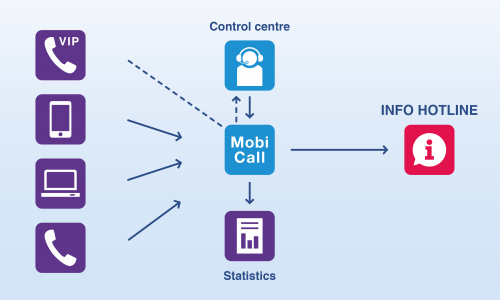 As a professional safety solution, MobiCall can also be operated in a redundant set-up with increased performance and high reliability. MobiCall geo-clustering enables redundancy and functional monitoring in several locations. The system provides a time- and calendar-dependent information distribution, which enables a flexible mapping of availability lists and duty rosters. The information transfer occurs on a skill-based and prioritised, as well as on a simultaneous or sequential way, depending on the alarm configuration. MobiCall also supports internal watchdog monitoring, automatic backups as well as comprehensive reporting and statistics features. In emergency situations like fire alarms or disaster alerts an immediate mass alerting is necessary. 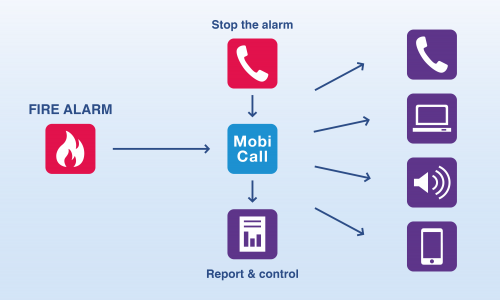 With MobiCall the existing infrastructure can be used so that telephones and computers in use are available to transmit an acoustic or optical alarm signalling. IP-loudspeakers or central PA systems can be connected in order to play back the proper announcement (e.g. in corridor areas). 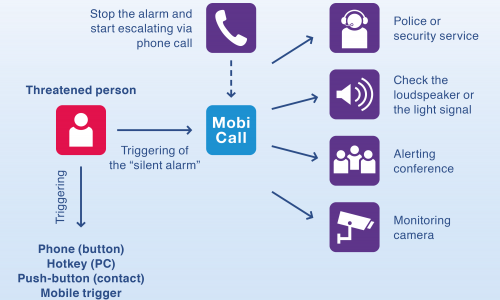 To be able to quickly help employees in critical situations, MobiCall allows triggering the so-called masked “silent alarms” using the available PC and communication infrastructure. Emergency teams are alarmed and detailed information, such as alarm type and location, helps to evaluate the situation and to define the suitable aid measures. The system can be employed for first aiders’ emergency calls, taking into account the rules and regulations of the employers’ liability insurance association. 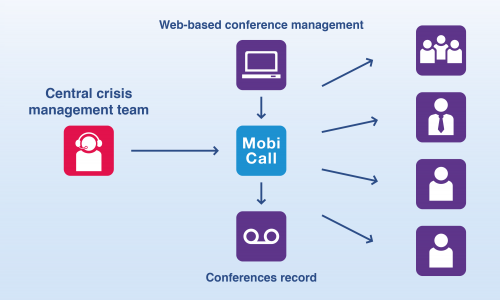 In case of any sudden emergency, MobiCall provides a fast implementation of emergency and contingency plans, whether the issue concerns the breakdown of important IT systems or short-term capacity constraints. A benefit of this solution is that all heterogeneous systems, such as the hazard detection technology or IT and management systems can be gathered and displayed on a central customised interface. Thanks to the collected information, all staff members are able to get a comprehensive overview of the situation. Depending on the circumstances, different scenarios can be put into action, monitored and managed both manually and automatically. These include a simultaneous alarm and information distribution, availability alert, automatic implementation of crisis teams and teleconference, as well as the activation of an info hotline. Moreover, extensive alarm and event log books are available for documentation and post-processing purposes. 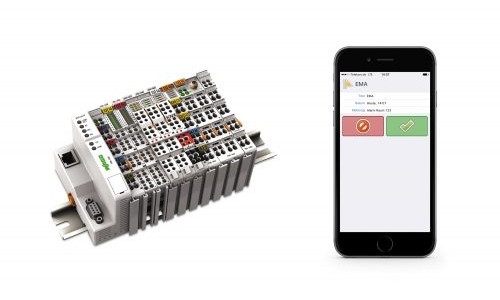 IP integrations via Modbus, KNX, BACNet, OPC, XML, ESPA-X, HL7..